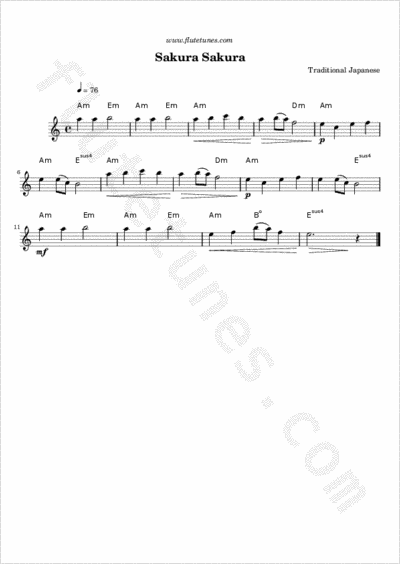 Heather — Flute with rock backing track. “Sakura Sakura” (“Cherry Blossoms”) is a traditional Japanese song set in early spring, when the cherry trees are blooming. Today it is often sung in international settings as a song representative of Japan. Contrary to popular belief, the song did not originate from very ancient times; it was probably composed during the Edo period (1603–1868) for children learning to play the koto (a traditional Japanese instrument similar to the guitar). Thanks to Kiersten for suggesting this piece!